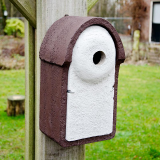 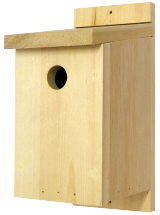 The Eco Barn Owl Nest Box is constructed almost entirely out of recycled plastic with the exception of the wooden base. 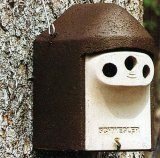 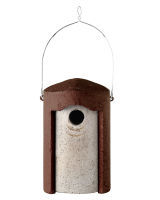 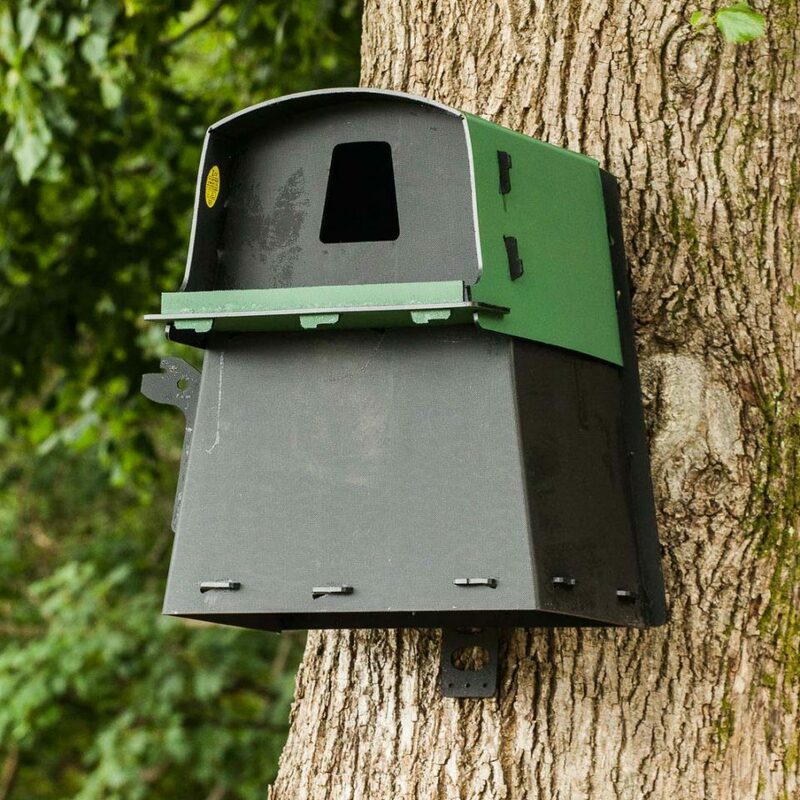 The recycled plastic means that this nest box is extremely robust, requires virtually no maintenance and has a long life expectancy. 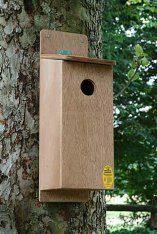 The wooden base, made from FSC certified chip-board, absorbs moisture from the nest and should be replaced every few years. 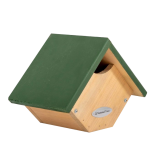 The black and green colouration ensures the nest box blends into its surroundings. 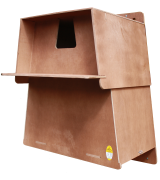 The curved roof integrates with the sides of the box and overlaps the back and the front of the box to ensure the inside of the box remains dry. 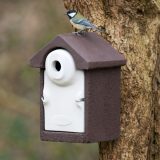 The box is secured using a separate fixing bracket that can be fitted to a tree or wall, with screws or straps. 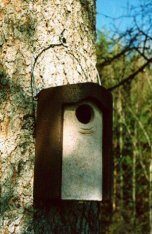 Once the bracket is fixed in place the nest box simply hooks onto the bracket. 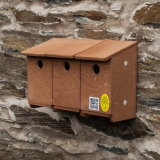 Please note that Barn Owls are a Schedule 1 species and so an occupied box must only be disturbed or inspected by a licensed individual. 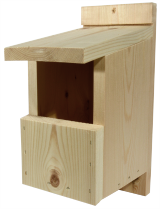 * Exercise platform for young owls. 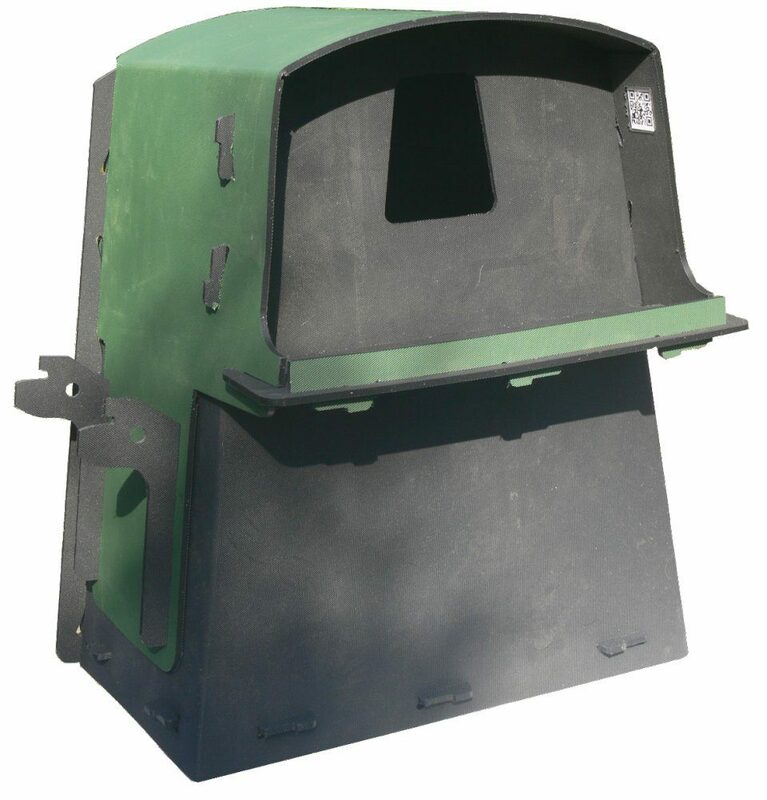 * Integrated side access hatch for cleaning or monitoring. 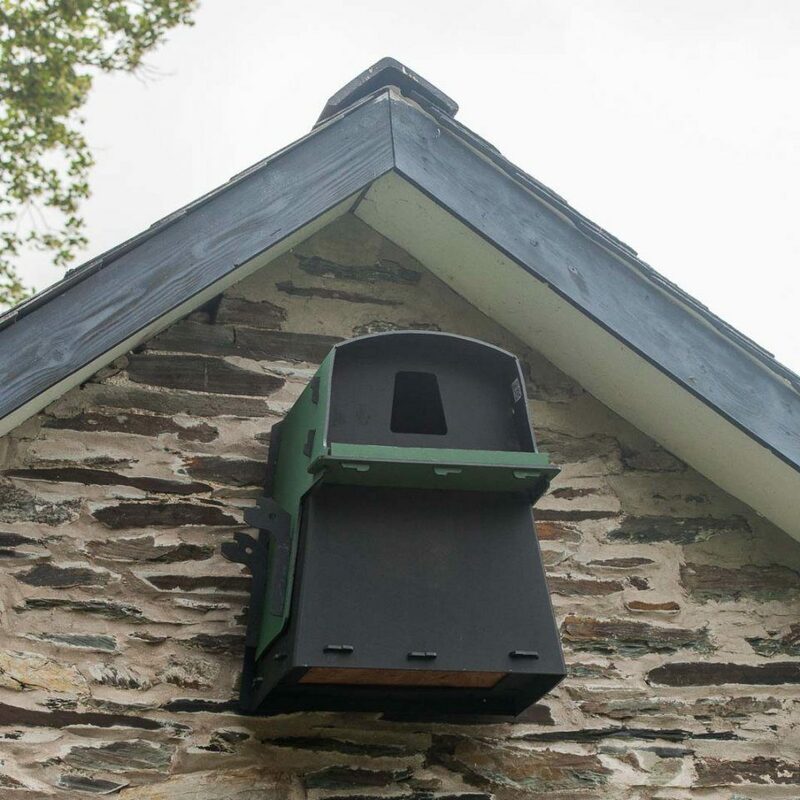 * Entrance hole at correct height to prevent young owls getting out before they have reached maturity.